For this article, my standard photo sharing uses on this website DO NOT APPLY. These photos are under copyright by Tesla Owner and cannot be used elsewhere. More details in the appendix. Recently many California Tesla owners and I were invited to participate in the battery swap. I could not resist trying it out. 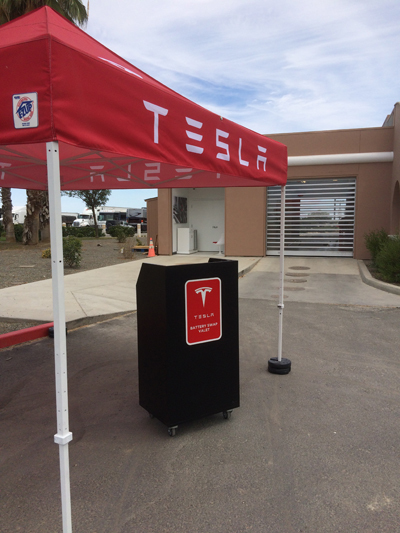 I had a couple of upcoming plans in Southern California, and arranged a four day trip including a battery swap at the Harris Ranch Battery Swap Station in Coalinga, California off Interstate 5 (I-5). This blog post will describe in detail the logistics of the swap. Then I provide some analysis of the viability of battery swap stations. To schedule a swap, you call a Tesla employee who lives in Coalinga. The swaps are available seven days a week from around 9am to 5pm. He fits you into an available time slot. When I called, the swap station was already quite booked for the next couple of weeks. I managed to schedule a trip by driving down on a Friday and returning on a Monday. No slots were available on the weekend and only two slots were available on that Monday. The station appears to be quite busy for the foreseeable future. Currently, the majority of people using the swap are folks driving on business. They are probably traveling salesmen who need their car or our visiting a variety of locations. Because for most business trips, traveling between San Francisco and Los Angeles areas is better served by airplanes. Although you need to make an appointment, the appointment time is not fixed in stone. If you arrive one hour late, it is “no big deal”. He does prefer you call in transit to let you know an approximate time of arrival. Part of this courtesy call is that there are several people working underground to get the battery off and on. If he knows when you are to arrive, they can be in position to make the swap faster. Your travel plans need to be a true round trip. Your need to return to the same location to pick up your battery. The cost of the swap is $80 for both swaps. The price is comparable to two tanks of gas for a large vehicle. You will get the same type of battery that you already have on your car: 60, 70 or 85 kWh. The battery I got during the swap was not a new battery but actually the same B vintage. The battery will be fully range charged upon your arrival. The swap itself is very simple. 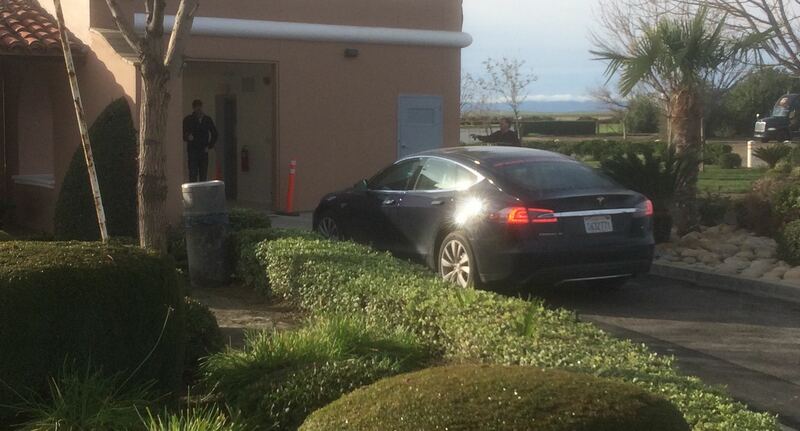 You arrive at the south end of the station, where a Tesla employee greets you. He intentionally take the fob and hands it back to you at the end, because one customer accidentally drove off without his fob. The valet then drives your car to the north end and into the swap station. They close all the doors at this time. There is a funky waiting room to the side with a couple of chairs and a LCD screen with four security camera like scenes. You can’t see much of anything useful in this room. They have a refrigerator with chilled plastic bottled water, but I’d prefer to see a chilled water dispenser to refill my reusable stainless steel and BPA free water bottles. The better view is by watching it through the back door. The door is a mixture of a clear material and a metal. You can see the process much better by peering through the slats. If they did not want you to watch this process, they could have easily installed a solid door. All three of these spots are visible in the picture to the right. 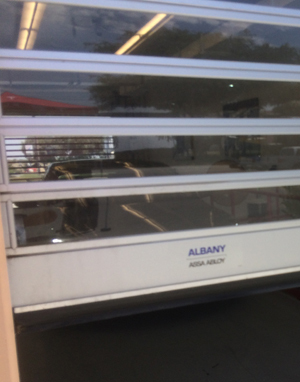 The black valet station is in the foreground, the funky white waiting room immediately behind it, and the battery swap station with its see through slats. The car is driven on a floor that is removable. Workers underneath unscrew the existing battery. A mechanical machine moves the old battery out of the way and brings a new battery into position, and then it is screwed on by the workers. Even by peering through the back door of the station, it is quite difficult to see much of anything going on inside as it is all taking place under the car. I did see a few hands, so I know the process is not completely automated. While this process is occurs, the valet cleans your windshield and front lights. The swap itself took 6 minutes the first time, and 8 minutes the second time for an average of 7 minutes. On the demonstration video back in 2013, the car was swapped in 1 1/2 minutes. The second time they had a minor issue putting in my battery. They seemed to need to pull it back and readjust it. The 7 minute average time was from when I handed the valet the fob to when the car exited the swap station. Batteries wear down with more use. So on this trip for 971 miles, my battery stayed in Coalinga. An weak analogy exists between driving a rental car and driving on a swapped battery. But other than range charging every time and driving a lot of miles it is hard to abuse a battery. An extreme situation would be to arrange a battery swap and then drive the car around the country for 10,000 miles and then return a month or so later to get your own battery. The following information is primarily just amusing. I drove from home, swapped the battery in Coalinga and did not charge till I reached the Mojave supercharger. When you do a swap, the software does not know the battery has changed and reports the following information. I had used 104.4kWh to get from home to the Mojave supercharger! I would love to have a battery with more than 100kWh. At the 2015 Shareholder’s Meeting, Elon stated that there is not that much interest in battery swapping. This statement from Elon is a bit misleading. First of all not that many people drive from San Francisco to Los Angeles routinely. People that can afford a Model S are more likely to fly. So if they only got a 2% result from their invitation, that would not be surprising given the demographics. Secondly for those of us who are fond of driving, we are not that likely to do this drive regularly. I have driven on I-5 now twice this year, and I know I will be doing it again next February but have no plans in between those two dates. Leisurely drivers may also opt to drive on highway 101, which is more scenic. So it does not surprise me at all that the swappers only swapped once. If it is true that the Beta testers only swapped once but drive regularly up and down I-5, that fact would be much more convincing. But the swap station appointment calendar is currently quite busy. In general, I agree with this part of Elon’s statement. But I can drive from San Francisco to LA on two range charges. I can range charge at home, reach Coalinga, swap and make it to my destination in the north half of Los Angeles. If I need to stop and do a range charge, my charging time is much closer to an hour. I may want to grab a very fast bite and be out of there in fifteen minutes. I don’t always want to eat or stretch my legs exactly the time I arrive at a supercharger, so more flexibility is nice. I also tend to not drive on the obvious routes. On this trip, I first went to the desert and drove from Coalinga towards Barstow, but I did need to stop in Mojave to charge for a few minutes before continuing. According to EVtriplanner in hot conditions starting in Coalinga, the drive to Tejon Ranch, Mojave and Barstow superchargers would take 47.4, 63.7 and 87.1 kWh respectively. Ideally I would like to skip both Tejon Ranch and Mojave and make it all the way to Barstow. I don’t really mind stopping and supercharging, but on very long drives it is really nice not to have to stop, or to shorten the charging time significantly. I have previously driven directly to Mojave on a non-range charge but I drove a bit conservatively. With a full range charge, I can drive worry free. Returning back up north from Coalinga, if I do not have a range charge, I need to stop at the Gilroy supercharger. I potentially may be able to make it home if I am very careful but I could definitely not stop by for an errand or two. After using the swap I easily made it home about thirty minutes to an hour earlier because saving time charging. I could have range charged for an hour in Coalinga, or I could have saved some time by charging both in Coalinga and in Gilroy. But sometimes one simply does not want to negotiate getting on and off the freeway. I felt my $80 was well spent for these two long driving days. On the other hand if the swap station was not available, I would be content with supercharging for free. A long highway with nothing interesting to see, do or eat. The start point from home to the swap can be done on a range charge but challenging on a regular 90% charge. From the swap to the end point can be done on a range charge but challenging on a 90% charge. The existing Coalinga / Harris Ranch along I-5 between San Francisco and Los Angeles. Perhaps a station near Davis, CA serving skiers, boarders and other folks heading to Lake Tahoe or the Sierras for the weekend from the San Francisco area. This location would be somewhere along I-80 before the split with 50 in order to serve both shores of the lake. Somewhere between Los Angeles and Las Vegas. The physical footprint of the swap station is larger than a supercharger station and has only one use. The Coalinga swap station formerly had been a car wash. There needs to be enough physical space to store enough batteries in order to have enough swaps. This physical space has a more real cost than a supercharger in a standard parking spot in the United States. I only interacted with the Tesla valet, and could not clearly see the other Tesla employees that were underground. I know there were at least two and most likely three employees underground. So to keep a swap station viable, there needs to be enough swaps per day to pay for a head count to run the swap station. The current scheme to use the swap requires appointments. Although they are open 7 days a week, the 9am to 5pm schedule is a bit limiting. When taking trips it is often difficult to plan the exact time frame when arriving at a destination. I can easily envision the two additional routes mentioned above (Lake Tahoe and Las Vegas) being primarily used for weekend jaunts. The timing for swaps would likely be Friday between 5 and 9 pm and Sunday between 4 and 8 pm. The current 9am to 5pm schedule would not really be very useful for true weekend get aways. A true useful swap station would not be this restrictive. Perhaps you are guaranteed a fast swap if you have an appointment, but if you do not, you may have to wait. 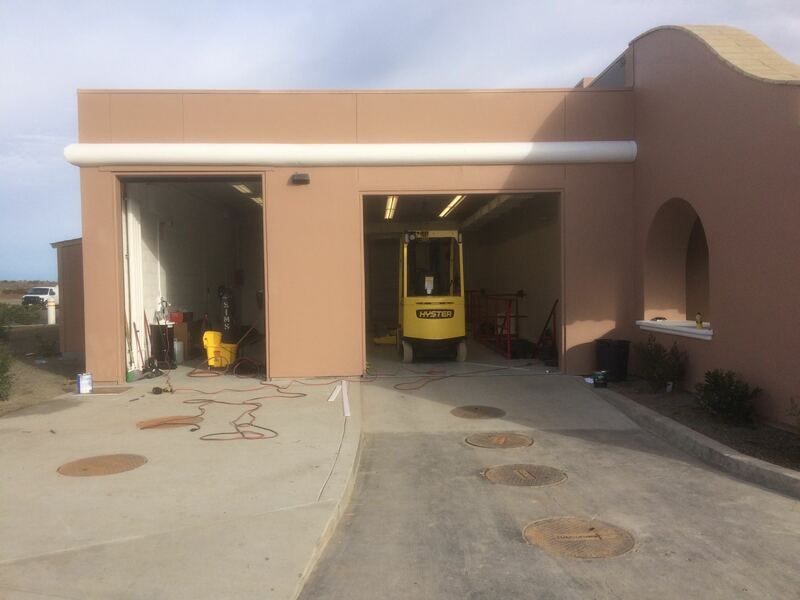 The Coalinga station will remain in operation through at least early 2016. I don’t think the battery swap stations need to be widespread. When on a true leisurely vacation, one enjoys stopping and absorbing the local color. But on routine drives, $80 is not a lot of money. I remember many weekends driving up to go skiing, and saving those 30 minutes of charge time would have been great, and I could envision easily splitting the cost amongst everyone in the car instead of chipping in for gas money. I can envision in the future if the economics work out well enough for Tesla, there will be say a dozen swap stations in the United States on heavily used corridors. I do agree with Elon that there is not a large demand for swap stations in general because for most drives supercharger times are fast enough. My final review is that I appreciated the swap station. I don’t like I-5 and I just want to keep on driving. The process worked smoothly but I did feel a bit restricted by the requirement of an appointment. Unless the logistics of the swap station could financially support a non-appointment model, I don’t think swap stations will be very popular outside of a few locations. When I arrived at the swap station, I asked if it was okay to take pictures. I was informed that it was fine for personal use. There is no signage restricting photos or any information to that effect in any of the correspondence on the swap. I told the valet that I was a blogger, but that I do not make money on the blog. So would that be a problem as this is a personal blog? He did not clarify the statement but directed me to call Tesla media relations. I wanted to give Tesla the fair opportunity to say no, so I called Tesla and asked for media relations. They told me to send an email to a particular email address. I described what I was going to do and introduced myself and asked permission to post photos of my battery swap. I only received an automated reply. One business day later but three actual days later, I again sent an email to Tesla saying I was going to publish the photos soon unless they had a problem with that and to please let me know. Since I made my best effort to contact Tesla and have now waited over three business days, I decided it was okay to publish these photos but will not share them with other websites. I am not particularly impressed with how Tesla handles these kinds of questions. I should be able to get a response by phone or email within a few days. And if they have any real concerns about people using these photos, they need to inform their own employees the exact policy. Elon Musk near the end of the Q&A section at the annual shareholder meeting accidentally created a bit of a PR challenge amongst current and future Model S owners. The comment was as part of a response to a question on the battery swap program available near the Coalinga supercharger. Executives have always made confusing statements in front of people but now with video technology and the internet, these statements can cause more problems than before. This small statement has lead to a ton of speculation on what Elon meant. Few Model S owners are particularly worried that they will receive a note from Tesla, or that Tesla will begin to charge them for supercharging anytime soon. The most interesting part of the discussion is what business model will happen down the road for more widespread EV adoption. “How long can I park at a Supercharger? 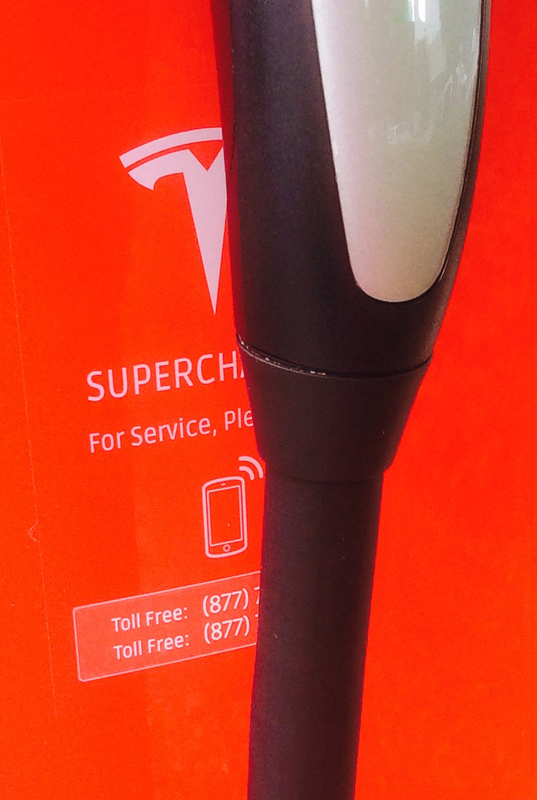 With the Tesla app on the phone, you are notified when your car is charged. In highly underused superchargers, at odd hours, or off-season, there is no rush to move your car. 2. Exactly who are these supercharger abusers? No one yet has come forward admitted to having received a note from Tesla. The speculation mill has mentioned taxi drivers using a supercharger near the Amsterdam airport. 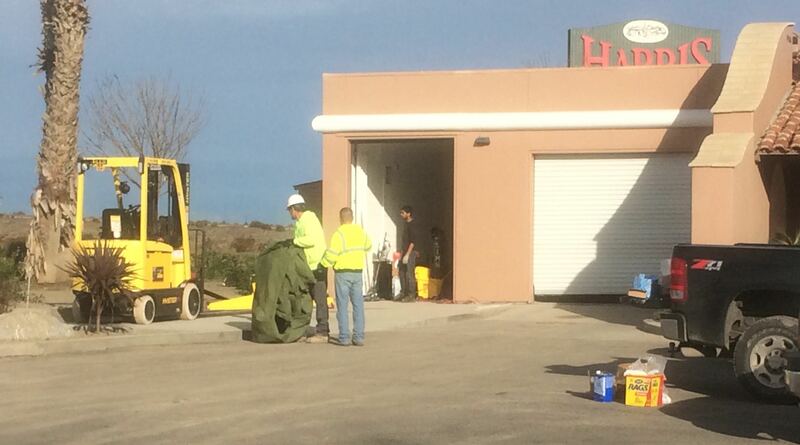 The other speculation is around a supercharger in Southern California. The San Juan Capistrano supercharger is near the coast and has been very busy. 3. Is supercharging only for long distance travel? Superchargers were primarily built for long distance travel. 4. What about superchargers in more urban areas? Yes, there are many superchargers in large urban areas such as Los Angeles and the San Francisco Bay area. Tesla has also stated that they can be used for those without a garage or definitive parking space. There are also no definitive statements from Tesla that folks without garages cannot use superchargers for daily driving. I myself have met 3 people who only supercharged for this reason. One in a far flung ex-burb area in California and two in the San Francisco area. None of these folks, myself or anyone else has heard that superchargers cannot be used for daily driving by any Tesla personnel before this statement by Elon. 5. Can you save money by only supercharging? Technically, you will save on your electricity bill. But driving and sitting at a supercharger gets old fast and likely would pay less than a minimum wage; electricity is generally not that expensive, and much cheaper than an equivalent tank of gasoline. 6. 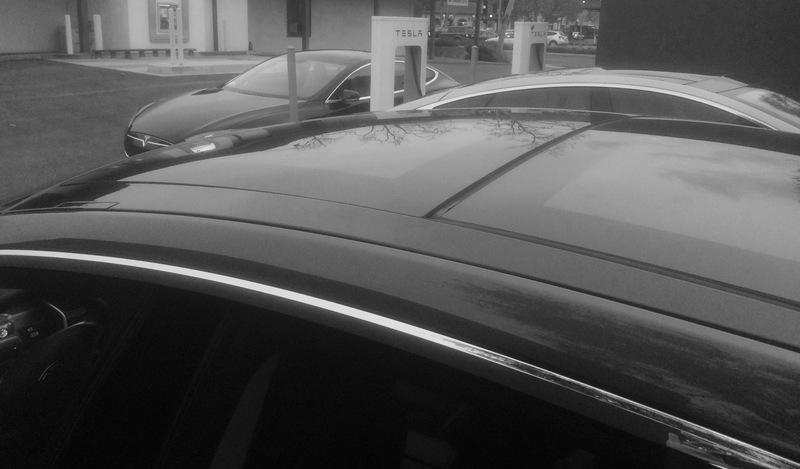 How much does it cost Tesla in energy for us to use their supercharger? A reasonable average commercial flat rate for energy in California is $ 0.20 / kWh. If a Model S is driven 100,000 miles at an average of 300 Wh / mile and only supercharged the cost to Tesla is $6,000. 7. What about other supercharger costs? Tesla does not buy land for their superchargers. 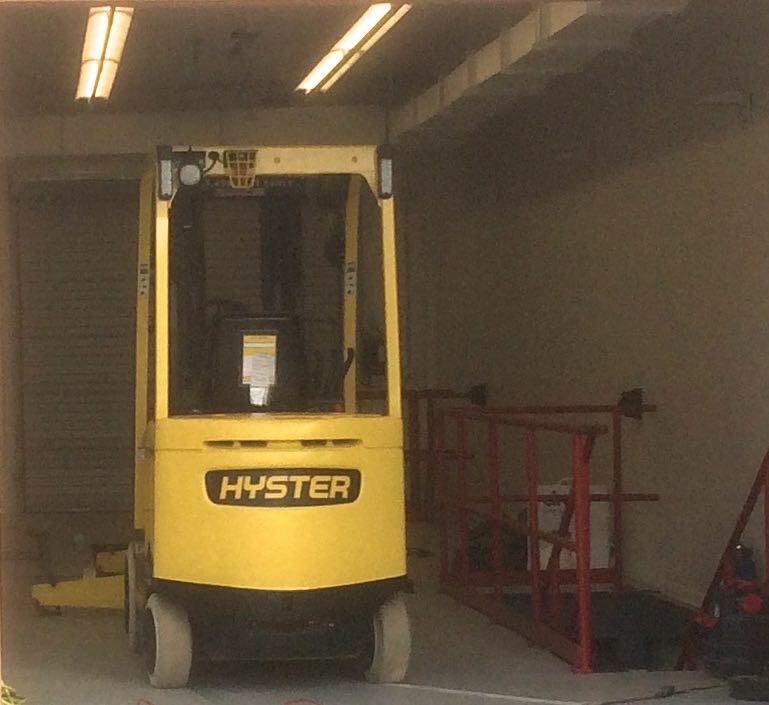 They do however bring in the equipment and pay the construction and maintenance costs. 8. Is Tesla tracking our every move? So yes, Tesla can know if you are charging at a residential location and at a local supercharger. 9. Is supercharging using sustainable energy? 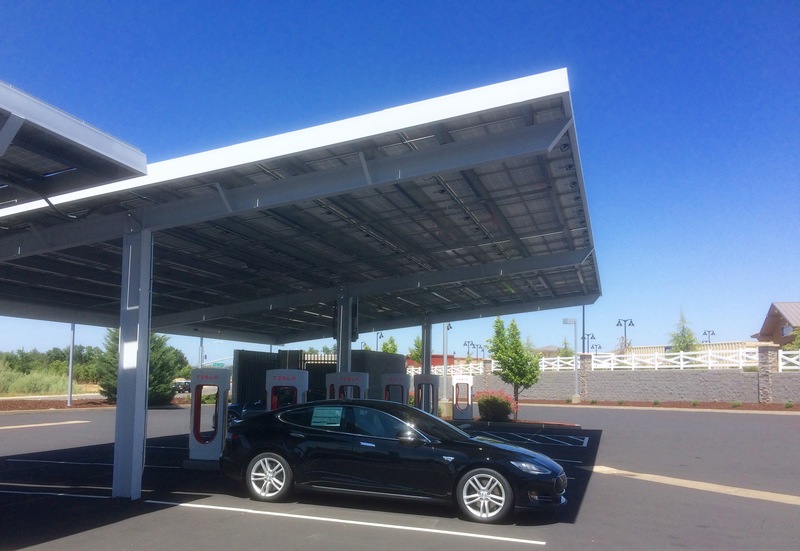 Elon did announce that superchargers will be charged with solar panels where possible; unfortunately the solar panel additions have been very slow and only a handful of locations have them. Elon also stated at the 2015 shareholder meeting that all the extra electricity the superchargers use will be bought from renewables. 10. Does frequent supercharging hurt the battery? Supercharging in general does not hurt the battery. But I have heard but cannot verify from multiple sources including within Tesla that very frequent or only supercharging does have a small amount of increased battery degradation. 11. What about Vehicle To Grid Charging (V2G)? The idea behind V2G is to use the battery’s charge to add capacity to the grid during peak usage hours. Theoretically in the future, a Model S owner could go to the supercharger fill up the battery for free and sell the electricity back to their power company. In a sense, using a Model S with V2G could operate like a Powerwall to play grid arbitrage. V2G technology is not available yet. 12. Will supercharging have a cost sometime down the line? I feel it is quite possible that supercharging will have a cost sometime down the line for the 3rd or 4th generation of vehicles. With the Model S, supercharging was an option for the 60 kW version and not available for the handful of 40 kW versions that were sold. 13. Is supercharging sustainable with more cars on the road? With Model S and the upcoming Model X at a high price point, the typical owner has significant resources and likely will not try to save pennies by abusing superchargers. The next generation car is targeted to cost $35,000. This car will be aimed at a different demographic that may consider it worth their time to save $10 for a fill up. But more importantly many of these owners will likely live in apartments or condominiums without dedicated parking spaces. Perhaps a different supercharging cost will occur for generation 3. A lot of different charging models could take affect for a different class of vehicles. Perhaps other car companies could use the superchargers and would be included in a new pricing model. 14. Has Tesla changed their message? There has been some heated discussion if Tesla has changed their message. The message that superchargers are free forever has now subtly been changed to free for long distance travel. Exactly what their message is today is not completely clear. 15. So exactly what is supercharger abuse? No one exactly knows the answer to this question. A handful of people do use supercharging regularly even though they have a way to charge at home. Perhaps Tesla considers these folks “abusers” ? Fortunately just a handful of Tesla owners feel it is their right to supercharge whenever and wherever they please. One colorful blogger wants to use a close to home supercharger near his home in order to get back at his electric company by charging at the supercharger tied to the same electric company. In every group of people, there will always exist a few who will try to maximize their advantages in a given system without much consideration for others. How do we facilitate wide EV adoption amongst drivers who do not have a dedicated place to park their car? Charging at home is very convenient, inexpensive, and easy. Superchargers are free forever for road trips. If you have problems charing regularly at home or work, feel free to charge at a convenient supercharger, but please be considerate of other drivers. I attended today my first Tesla shareholder meeting. For somewhat bizarre reasons, I did not become a shareholder in Tesla till last year when I bought some shares. The amount is quite small (far less than 1% of my net worth) and has no bearing on the honesty of my blog. Unlike traditional dull shareholder meetings in the past, this meeting was quite enjoyable. The business part was over quickly and included a warm thanks from Elon to the retiring CFO. Elon gave a short overview speech and answered about 10-15 questions from the audience. After the official meeting, I went to charge my car at the new supercharger located in the parking lot. As I was chatting with a fellow shareholder I met at a supercharger in Oregon, I noticed the CTO JB Straubel talking to some owners. I took the opportunity to join in the conversation and ask some questions myself. Elon mentioned that Teslas (not 100% sure if Roadsters are included) have been driven 1 billion miles as of today June 9, 2015, and that the new 70D is about 1/3 of Model S sales. Elon has been testing the autopilot features and will be released to Beta customers by or near the end of the month. “The Model X may be a better SUV than the Model S is a sedan”. Both Elon and JB expressed dissatisfaction with the current information available about the Tesla Energy products. Elon announced that the Powerwall now has a significant increase in power output making it a more usable solution for backup power in case of a power outage; a typical home can now run everything except air conditioning. Price with install for an existing solar customer will be $4,000. They are prioritizing deliveries to existing Tesla customers with solar. I asked JB about the huge interest Tesla is seeing for the Powerwall as my return on investment with existing solar is 18 years. He said there are very specific markets: Germany, Australia, and South Africa where the economics make sense. He also mentioned the large interest in the Powerpack product for utilities. If they need to expand, they can add Powerpacks to existing substations. This advantage saves physical space and wires. JB mentioned keen interest among specific utilities. The new Mountain View supercharger was opened up. I charged at my 86th supercharger today. Tesla had representatives hanging around to talk to the customers. The only real difference now is that the charging cable is liquid cooled, flexible, thinner and lighter. The cable is the same width as the one we use at home. In California and warmer climates, the existing supercharger cables work fine, but in colder climates the existing cables can get very stiff. These cables will support more voltage than today’s cables. So eventually we will be able to charge above 120V. Elon clarified that superchargers are really for long distance trips. He acknowledged that there are some people using them for daily driving, and mentioned that a few are getting notes to that effect. An owner can technically and legally use only superchargers for daily driving. Elon did say that eventually all superchargers would be powered from renewables. Where possible and appropriate they will have solar panels, or they will buy electricity from other renewable sources. 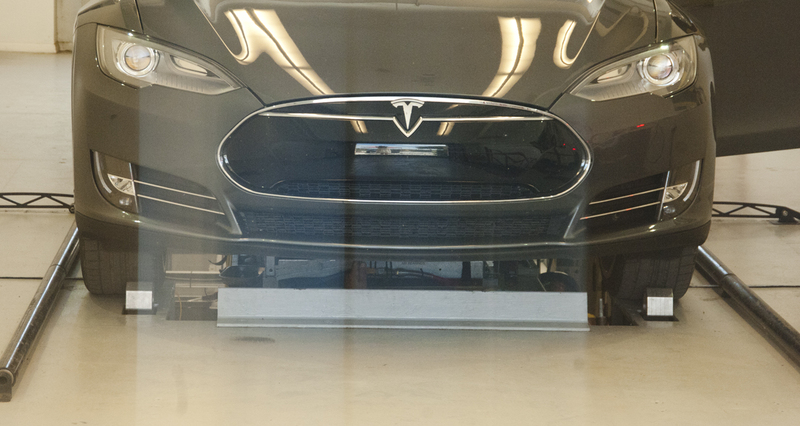 Tesla does not think there is much interest in battery swapping. The initial 200 people that were invited to the Beta of the station at Harris Ranch, only 4 or 5 swapped their batteries and only did it once. Tesla has now invited all the owners in California, and they are receiving about the same amount of interest as the initial group. A shareholder asked Elon if SpaceX will ever go public as he wanted to own the trifecta of Elon’s companies (including Solar City). Elon said that wall street lives quarter to quarter and that model does not work with long times for launching rockets. He said that “Space X will go public once they have regular flights to Mars”. The shareholder meeting was quite an enjoyable event. Listening to Elon and his clear vision of “sustainable transport” and a few interesting tidbits was well worth the short drive. The extra treat was to be able to ask a couple of questions directly to the CTO. Just being around two very intelligent people doing interesting and valuable things is inspiring. This week I drove down to Southern California to attend a funeral in an off the beaten path location making driving more pleasant than flying. On the way back today I stopped at the Harris Ranch supercharger to charge just before 9am. Always curious, I stopped by to check out the old car wash and the back door was still open with a bunch of construction guys around. The main “car wash” / battery swap area had a visible hole in the floor and some stairs leading down below along with another room to the left. Both appeared to be quite clean. 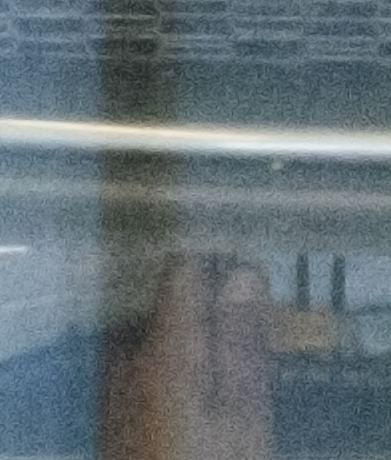 In this zoomed in shot you can see the stairs to the right and a hint of the hole in the floor. A few minutes later a Tesla employee talked to me, so I stopped taking photos. He did say that the battery swap announcement would be coming soon. By the time I arrived home, Tesla had announced a Beta of this program. The employee had asked me if I frequented this route, and I said not really, so I suspect they are actively looking for Beta testers. When I was at the funeral, another person from the San Francisco Bay Area quoted their driving time in their ICE and it was clearly faster than mine. I was in no particular hurry and spent an extra day going down 101 instead and enjoying the coast. But I could definitely see a use for a battery swap station for long stretches on I-5, and I would have been happy to pay the price of a tank of gas today for a three minute or less fill up. I have definitely experienced times when I have not really wanted to wait for the car to charge. And I’d be more than happy to time the swap! The swap will currently take three minutes because of the shield that was installed to prevent debris hitting the battery. Tesla says they can get this time down to one minute; either way it would be a nice alternative for supercharging when your in a hurry or not hungry. While I was there a Tesla corporate car arrived with MFG plates to test the swap but they quickly closed both the front and back doors. They also told the construction crew to clean up the area.